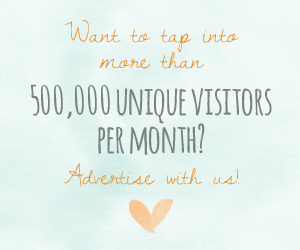 The veil is steeped in tradition, but with a plethora of headpieces and accessories out there (not to mention gorgeous hairstyles), veils are often left behind. Fear not, as the veil is back with a vengeance, bringing a multitude of styles and creative ways to modernize it. 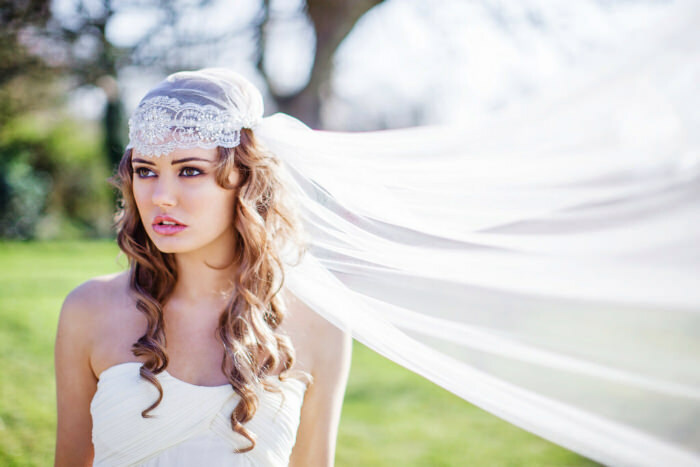 Veils trimmed with lace and embroidery give a nod to the past and also give you a chance to show off your hairstyle. Because they don’t always cover your face, they become a great add-on to your dress – without being distracting. This veil, covering the face, is reminiscent of another era. 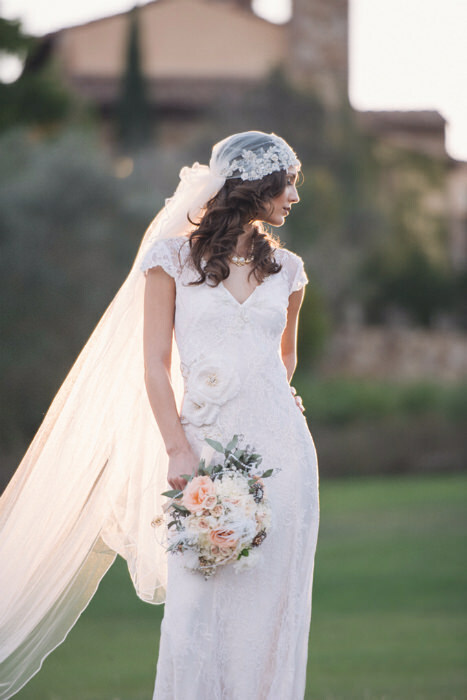 If you have a length of vintage fabric or want to re-purpose a relative’s veil, keep in mind that veils can be knotted, tied and wrapped. 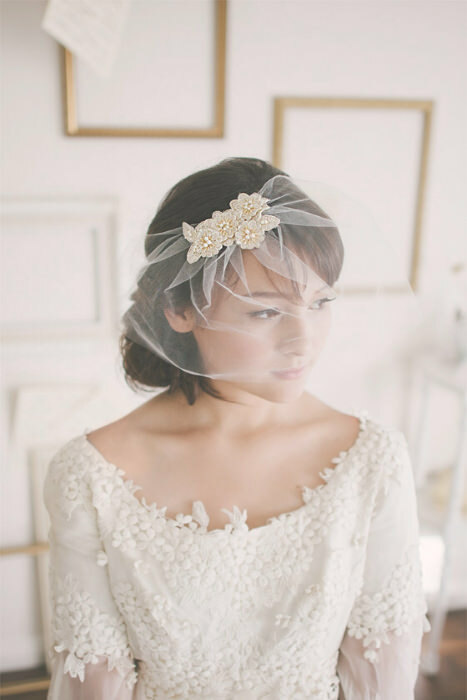 Juliet cap veils are increasingly popular and look stunning for an intimate vintage or country wedding. 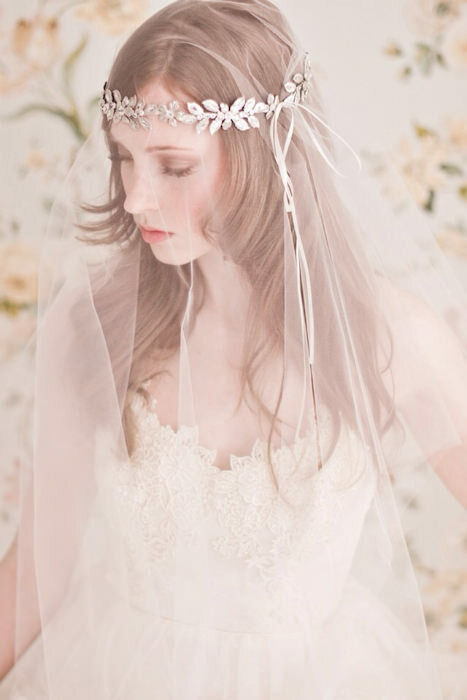 If you’re not a fan of trains and longer veils, there are plenty of shorter styles to choose from. 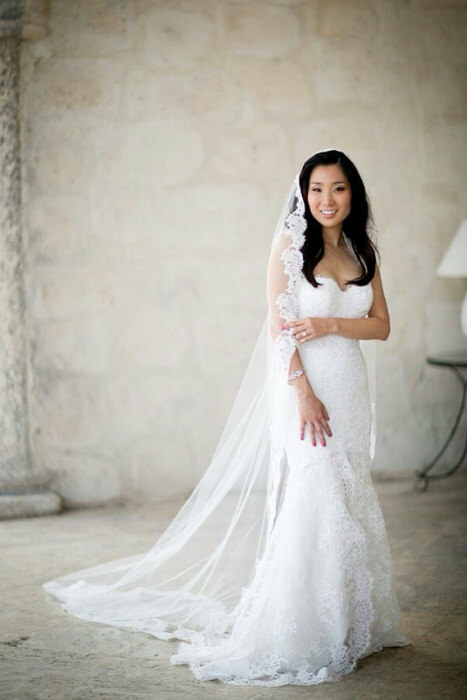 A layered tulle veil piled high, creates volume in an elegant but fun way. You can also play around with the styling for multiple looks in your photographs. 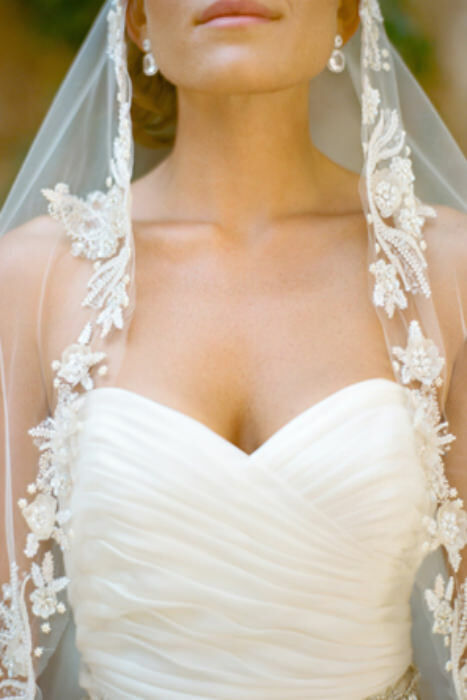 Sheer veils that graze just above the chin are simple and sophisticated; perfect for elopements! 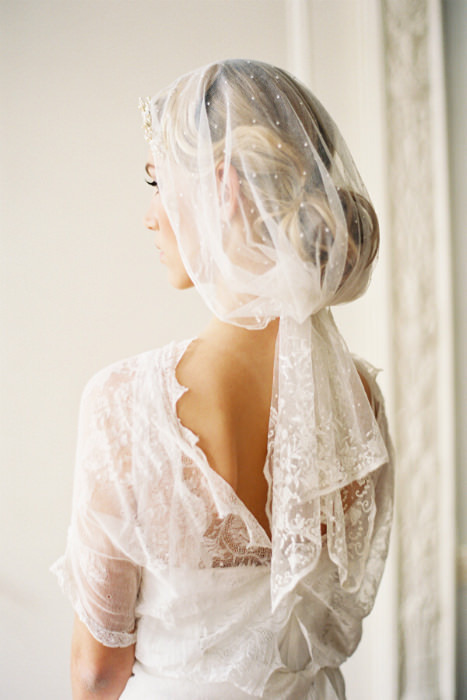 Birdcage veils are playful, and with an abundance of styles and fabrics, they can fit into any wedding theme. 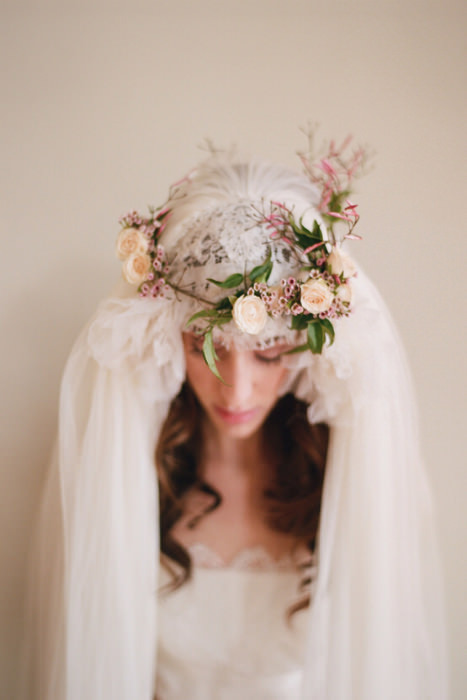 Floral wreaths and headpieces give veils a makeover. Whether you decide to cover your face or not, these are great accessories for simpler styles. 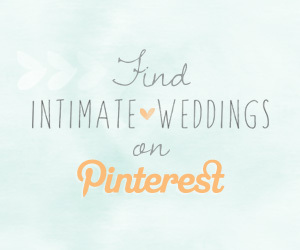 Softer fabrics and embellished pieces provide a romantic contrast.